I can’t believe we’ve already been in school for 3 weeks! I am absolutely loving my classroom this year! I made some little changes that have had a big impact! One of the changes is that I’ve incorporated more of a colorful chevron and chalkboard theme! My previous clip chart was 3 years old and well used. The movement of clips had taken its toll and the edges of the lamination were not looking too great. So at the end of the last school year I threw it away. Fast-forward a couple months and I was frantically setting up my classroom to get it ready for the new year. I was short on time, so I figured I would pull out my old clip chart. Completely forgot that I had thrown it away! Although I guess it worked out well in the end because I ended up creating this new one and I love it! Also, I used my personal laminator to laminate the pages and then tape them together (as opposed to my previous one that I taped together first and then ran through our schools big laminator), so the lamination is much thicker! I also hot-glued a black and white polka dot ribbon at the top to hang it! 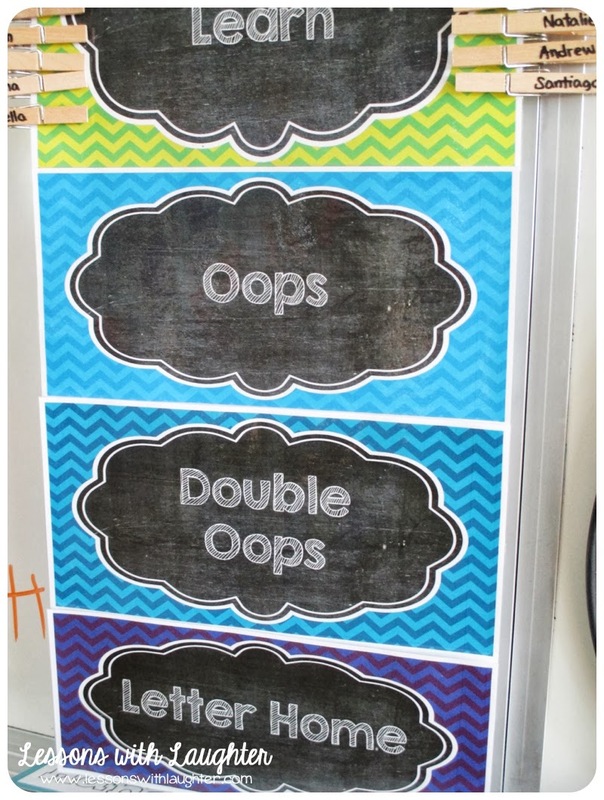 I’m offering this clip chart as a freebie at my TPT store here! 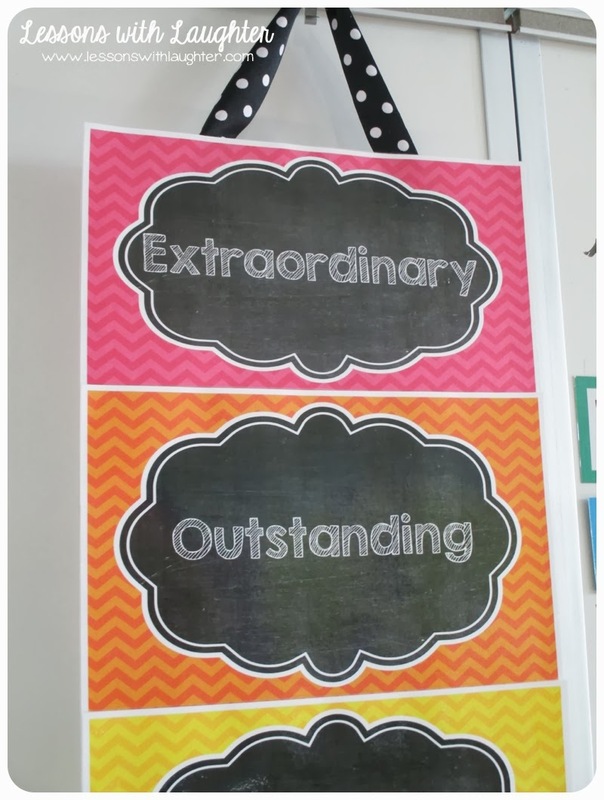 In addition, I am SO excited about my new word wall this year! The past couple years I’ve been covering up our old, white backpack cabinets with paper and then taping words up to them. Of course since that was where my kiddos kept their backpacks, the word wall took a beating, and the paper got dirty and the words were constantly falling off. So this summer some awesome people at our school helped me out and put sheet metal up on the cabinets!! Then I made some new chalkboard-themed letters to put up on my new word wall! 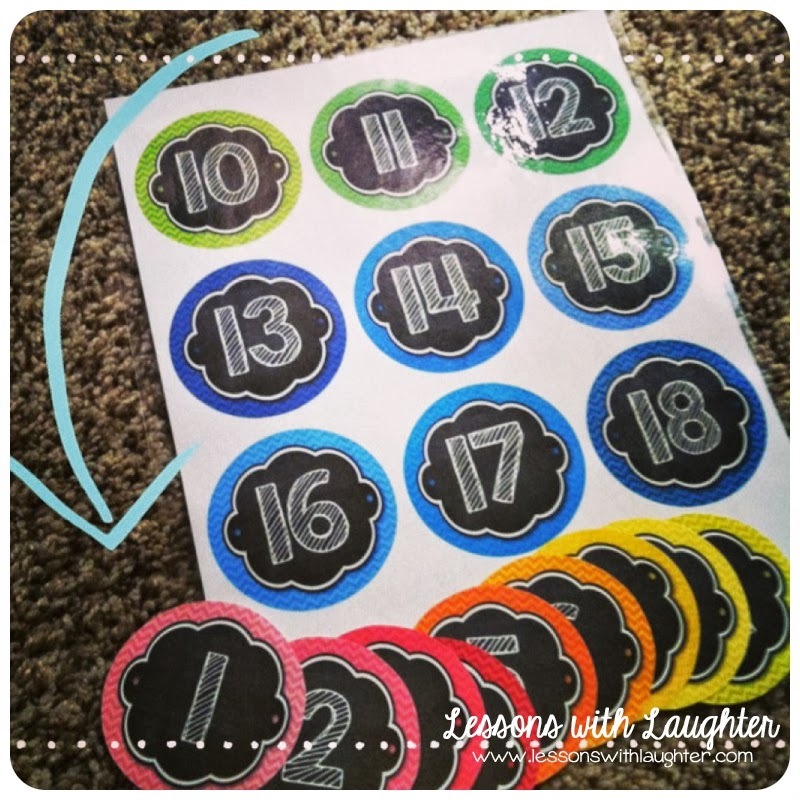 I also made numbers to put on my kiddos’ book baskets! They are on top of the backpack cabinets! You can see them in the picture above, but that was taken before I added the numbers! 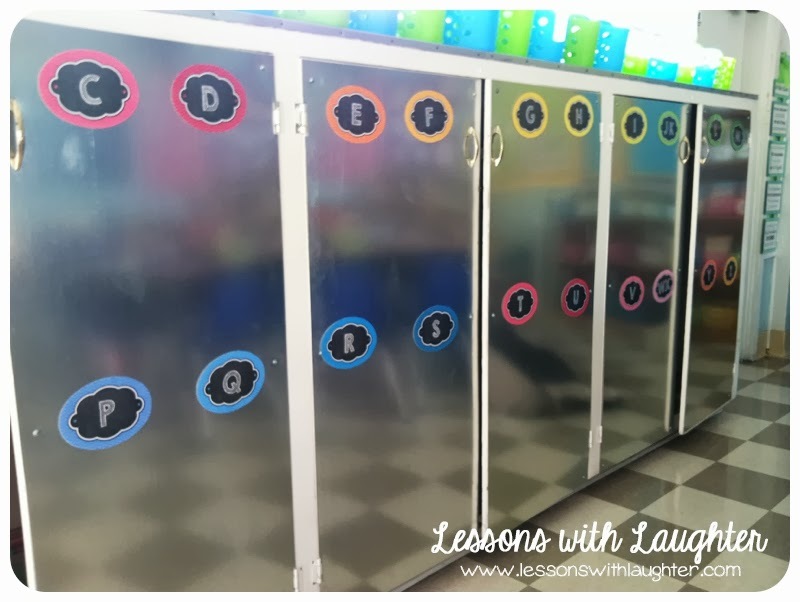 If you are interested in the chalkboard numbers and letters you can get them here in my TPT store! Wow! I love the metal on the cabinets. Where do you buy sheets of metal? Oh my goodness…love the metal So cool!! !